Dysport® Fontana is one of our services at True Beauty Aesthetics. We think that most of people are familiar with Botox®, an injectable that relaxes the muscles that cause wrinkles such as frown line, forehead lines, and crows feet. It’s made by a company called Allergan, has been around for over 20 years, and has an extremely high safety and efficacy profile.In April of 2009 a new Botox® competitor was approved by the FDA called Dysport®. Dysport® is marketed by a company called Medicis (also the company who makes Restylane), and although it’s new here in the US, it has been available in Europe for a long time. You may also have heard of Dysport as Reloxin, which was its former name. Overall Botox® and Dysport® are very similar. Both are used to relax the muscle that cause frown lines, crows feet etc. 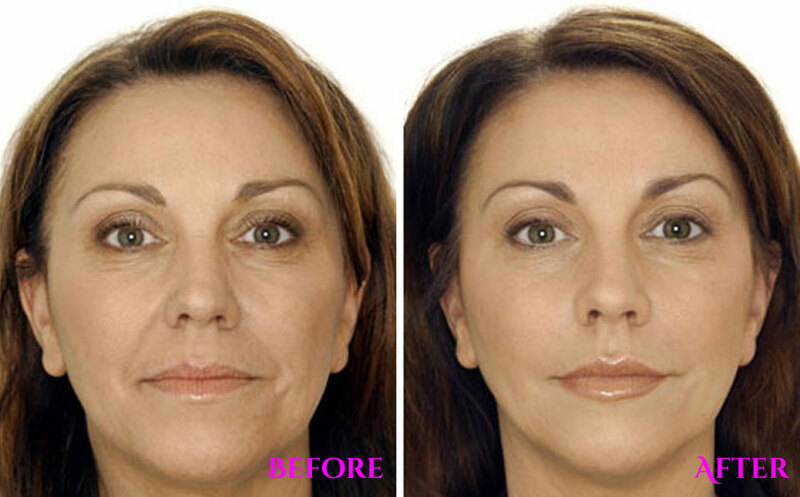 The only difference is that Dysport® is a smaller size molecule so its unit measurement is different than Botox. Treatment as with Botox takes 30 minutes to an hour, there is a typical 4hour period downtime in which we encourage each individual not to press or push on or near the treatment area, and no laying down. 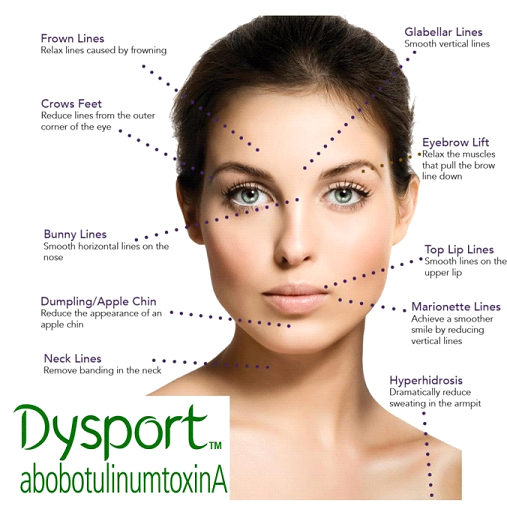 Overall Botox® and Dysport® are very similar. Both are used to relax the muscle that cause frown lines, crows feet etc. The only difference is that Dysport is a smaller size molecule so its unit measurement is different than Botox. Treatment as with Botox takes 30 minutes to an hour, there is a typical 4hour period downtime in which we encourage each individual not to press or push on or near the treatment area, and no laying down. 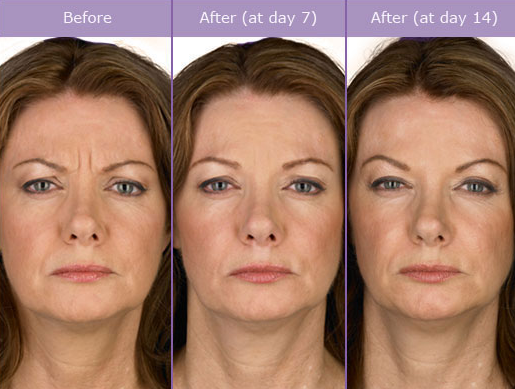 We at True Beauty Aesthetics explain to our patients the difference between botox® and Dyport® in Fontana. Dysport® in Fontana can take up to two full weeks to take effect. However, some patients notice a difference after only a few days. How much does Dysport® Cost in Fontana? At True Beauty Aesthetics, Botox/Dysport® costs ONLY $8/unit. This would be the cheapest Dysport in Fontana.